Senaf, reference partner for over 30 years in the organization of exhibitions and congresses, in collaboration with “HA Factory” review, Tecniche Nuove Group’s leader international magazine dedicated to components, technical supplies and manufacturing processes of the household appliance market, have officialized the birth of “Atelier Appliances Match It”, event that will be held in Milan at the prestigious MiCo location, on Thursday 9th and Friday 10th May. It is the first date of international relevance exclusively dedicated to the world of components, aimed at permitting the meeting between manufacturing companies and the managers of the primary brands of domestic and professional white goods on the market, sharing know-how and experiences and dialoguing about the trend of this sector and medium-long term prospects. “Atelier Appliances Match It” will also stand out for a rich schedule of meetings and workshops to deal with the main challenges and to outline the trends that are concerning this production ambit, unceasing symbol of excellence of our Country and, more in general, of the household appliance industry: from Internet of Things to circular economy, from the smart manufacturing to new business and purchase models, up to the opportunities provided by the so-called fourth capitalism and the new horizons of internationalization. “Senaf has always paid utmost attention to the evolution of events and trade fairs”, commented Emilio Bianchi, General Manager of Senaf: “We strongly believe that today exhibitions must be an opportunity of relationship, of in-depth analysis and of di business for companies. 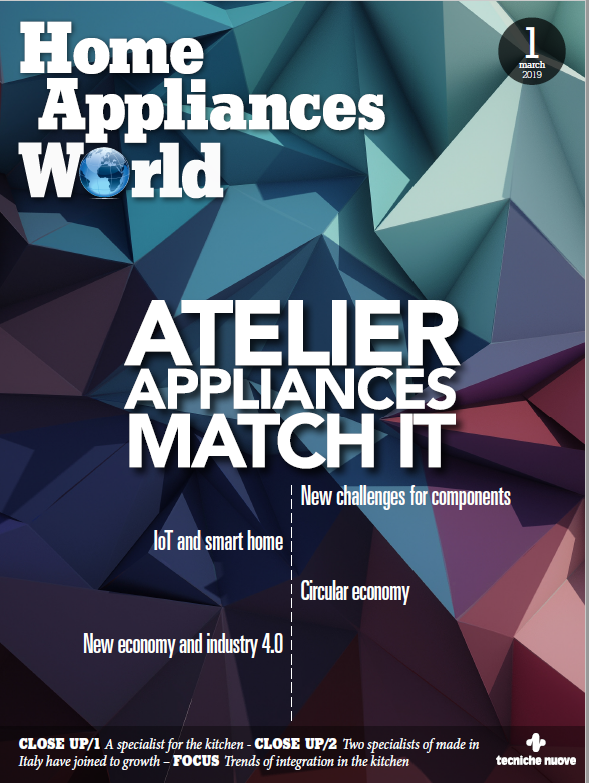 The ‘Atelier Appliances Match It’ project, in this horizon, takes a step forward, proposing a unique event in the international panorama”. The programme of the trade fair provides for the participation of authoritative personalities, like Francesco Zurlo – Vice-Dean of the Design Faculty of Milan Polytechnics – Angela Tumino – Director of the IoT Observatory of Polimi – and of Carlo Alberto Carnevale Maffé –Professor of Strategy and Entrepreneurship at SDA Bocconi School of Management. “The quality of materials, the strong propensity for customization, the fast operation, creativity and the attentive control of manufacturing processes make the Italian sector of components and parts for the household appliance market an industry where our Country has always been a reference point on a world scale and synonym of high professionalism and quality”, commented Massimo Moscati, Editorial Director of the Appliance Division of Tecniche Nuove: “‘HA Factory’ magazine stems from the awareness of the strategic importance of the sector: the collaboration with Senaf for the setup of an exhibition fully dedicated to this field and to the various entrepreneurial realities completes the editorial activity and assures its constant development, despite a more low-profile role of the Italian household appliance industry”. Atelier Appliances Match It will take up a surface exceeding 1,800 square metres that will be designed to create a spectacular, comfortable and refined venue, which will host also some exhibition spaces where component manufacturers will welcome the exhibition’s visitors with a preferential approach.